News reports of large-scale data breaches at brand name companies are more frequent than ever. Today’s businesses are constantly being probed and attacked by cybercriminals searching for sensitive data and system weaknesses. Organizations must take strong steps to protect their IT assets from cybercriminals and business leaders need to understand the risks posed by cybercrime. 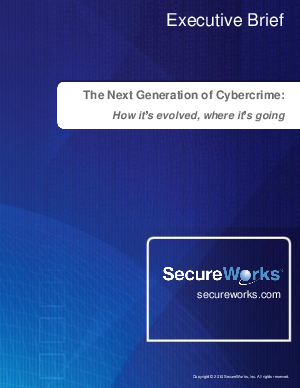 This Executive Brief sheds light on the risk of cybercrime by profiling several “generations” of cybercriminals over time, and pointing out how the criminals, their methods and motivations have evolved. By understanding the motivations and methods of cybercriminals, business leaders can better gauge risk and take decisive actions to protect their organizations.